The thing about a raised bed garden is that it really doesn't require much work. 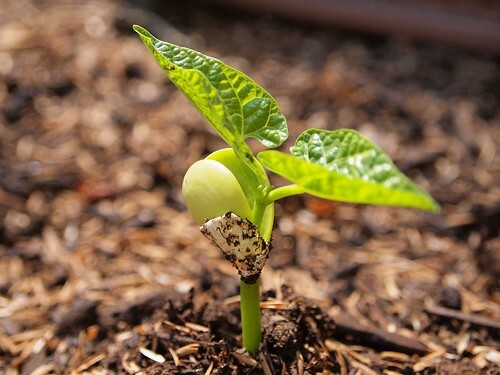 You put it together, fill it with soil and seeds and wait. And wait. And wait. 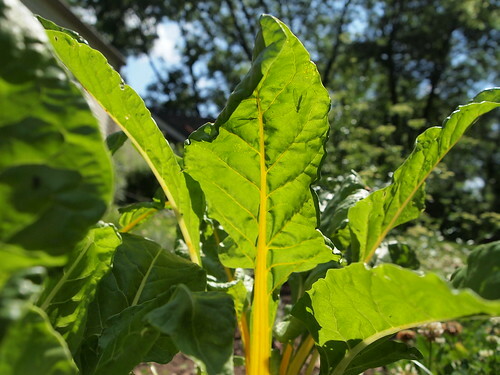 In the meantime you eat the lettuce and chard that's still growing in the old garden. At least, this is what I've been doing. Today, I hilled the rest of my potatoes and planted more carrot seeds. I also got around to building a slug trap to save the carrots I have growing. But mostly I just sat outside, enjoying the morning sunshine and admiring the way the light made the stems of the chard glow. Not bad gardening if you ask me.